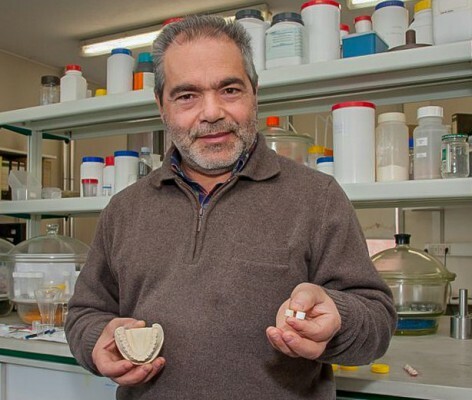 After a decade as Associate Editor of one of the world's leading scientific journals on materials science-ceramicscategory, José Maria Ferreira was nominated as main editor of the Journal of the American Ceramic Society (JACerS). The CICECO and the Department of Materials Engineering and Ceramics (DEMaC) researcher now assume, among other missions, the definition of the editorial policy of that journal. The nomination to the new post "is a recognition of the work done as Associate Editor, an increase in responsibility and a permanent challenge to help fulfill the JACerS mission of which is best done in the field of materials science, with special emphasis on ceramic materials, glass and ceramic or glass matrix composites." says José Maria Ferreira. Helping to define Editorial policy and instructions to authors, pre-selecting articles submitted and deciding which ones are of sufficient quality to go through the review process, publicize and promote JACerS, and attract high quality and impact contributions are some of the new responsibilities of José Maria Ferreira. JACerS is dedicated to the publication of original research results that address, provide or lead to the establishment of foundational principles of the science of ceramic materials, glass and glass–ceramic matrix composites. These papers, the researcher explains, include "reports on the discovery, characterization and measurement of properties of new materials, composition of phases and their relationships, materials processing techniques, and structural aspects at various scales (micro and nano)." Works that use theoretical modeling approaches and provide mechanistic explanations about the interdependencies between the studied variables and the measured properties for the materials are viewed with great interest. "All published articles should give relevant contributions to the fields of ceramics and glass," says José Maria Ferreira.